Today I traveled from Koriyama to Shinchi Town which is the northernmost part of Hamadori Region. 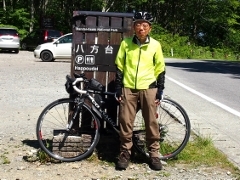 It was a long bike trip of 105km in a rainy day. 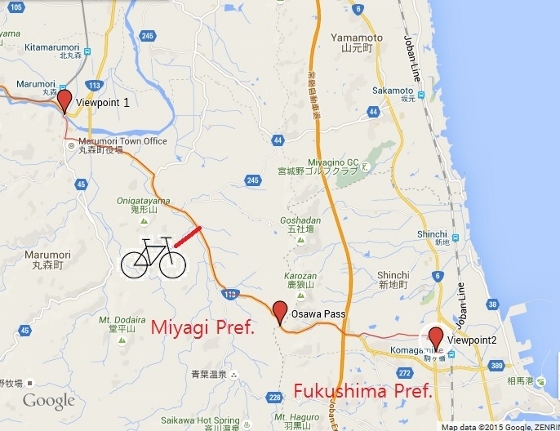 In order to avoid mountainous route, I once entered Miyagi Pref. along the Abukuma River. 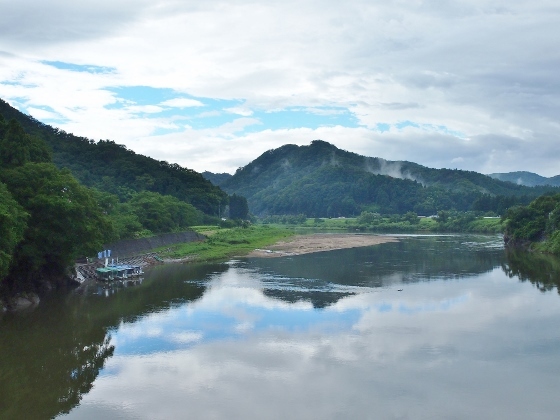 At Marumori Town of Miyagi Pref., I could see beautiful scenery of the Abukuma River from a bridge (viewpoint1 on the map). This was a moment when the continuous rain stopped and a small part of blue sky appeared and reflected on the river. 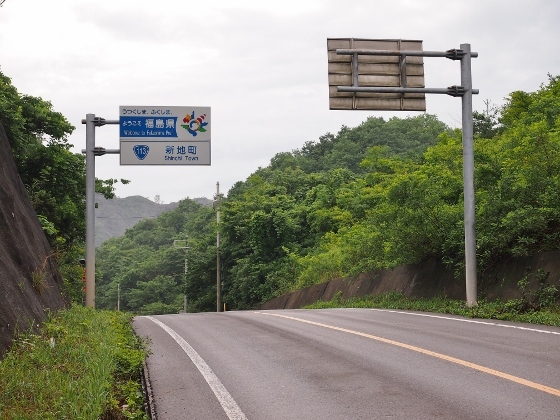 Above photo shows the border from Miyagi to Shinchi Town, Fukushima which is named Osawa Pass. 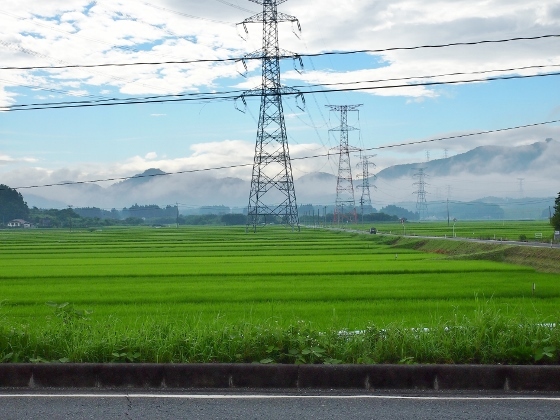 Arriving at Shinchi Town, I could see beautiful green rice fields everywhere. Above photo shows such rice field with sea of clouds crawling above the ground far ahead.